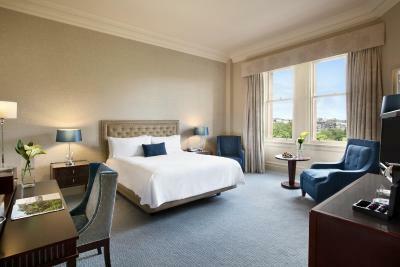 Lock in a great price for Waldorf Astoria Edinburgh - The Caledonian – rated 8.6 by recent guests! 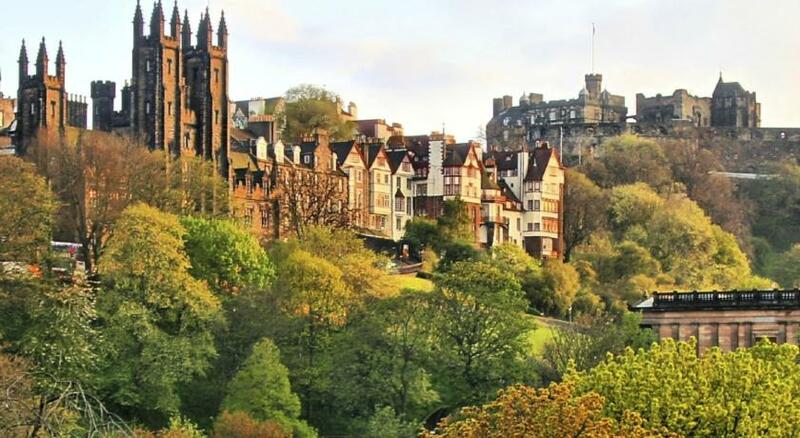 The location is ideal for access to Princes Street, the old town and theatres. The hotel is beautiful and the staff are friendly. The Caley Bar is great for cocktails and a nice, relaxing drink. The accommodations were very nice. The staff was very helpful. We had a couple of issues, the first room we were given keys to was already occupied by another guest who was not checking out. We were left waiting in the 2nd floor hall for 15 minutes, then led to another room on the same floor for a temporary stay, then given a room on the first floor with less of a view. The mini bar refrigerator was well stocked but not working so everything in it was hot. They were unable to repair or replace it within our 2 day stay. Very attentive staff Hotel building itself was impressive with a nice gym and pool which were not busy. The staff was super kind and they helped us a lot with advice on restaurants, the trainschedule, places to visit, making reservations. Loved the location and beauty of this historic hotel. The best part of my stay was the Guerlain Spa massage. Totally amazing experience. The hotel bar and main lobby were also lovely - I really enjoyed my time staying here and the proximity to historic sites, great cafes and restaurants and shopping. 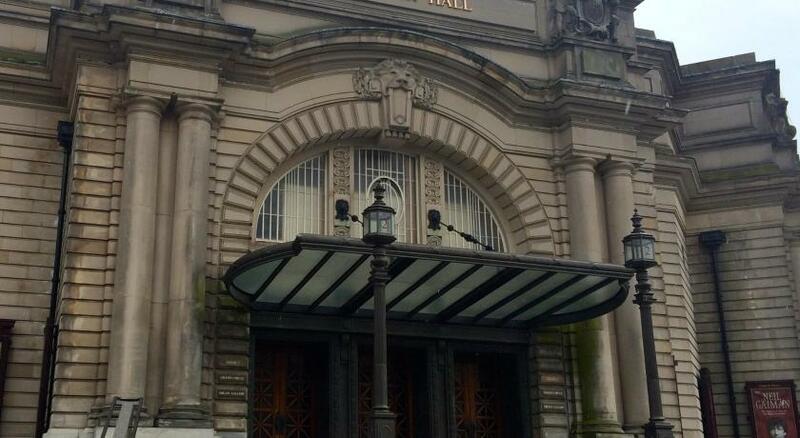 Interesting, historical building - cleverly reconfigured into hotel accommodation! The Staff at front of house extremely helpful, but we waited over an hour for our meal in the Bistro on the night we arrived. The bed was comfortable. The room nicely appointed. The Pompadour restaurant with tasting menu and wine was the highlight. 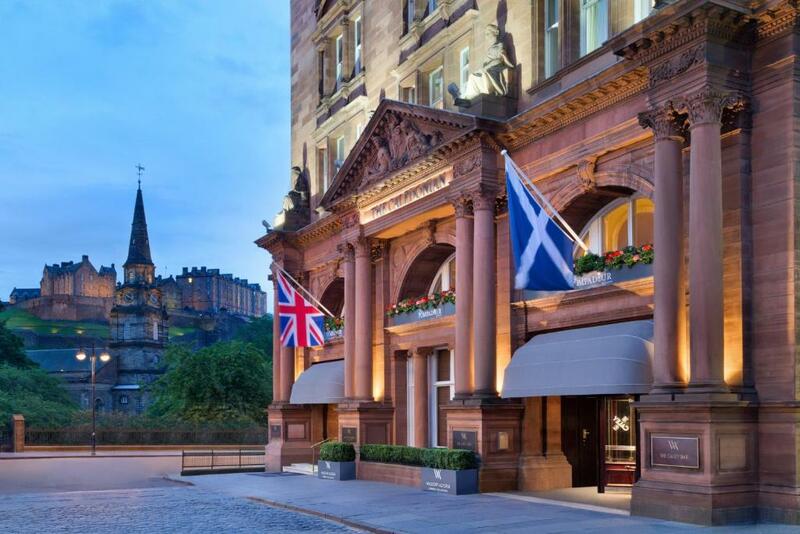 Waldorf Astoria Edinburgh - The Caledonian This rating is a reflection of how the property compares to the industry standard when it comes to price, facilities and services available. It's based on a self-evaluation by the property. Use this rating to help choose your stay! One of our top picks in Edinburgh.Located just a 1-minute walk from Princes Street, Waldorf Astoria Edinburgh - The Caledonian luxury hotel has a modern leisure club and unobstructed views of Edinburgh Castle. 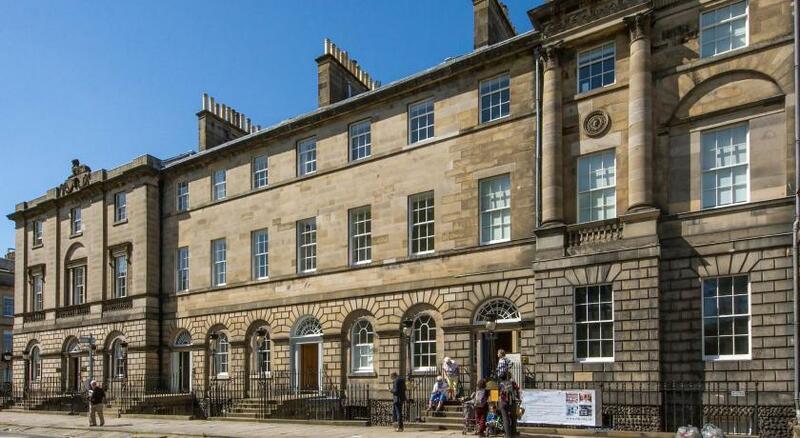 George Street's bars, restaurants and shops are less than a 5-minute walk away. There is free WiFi available throughout. 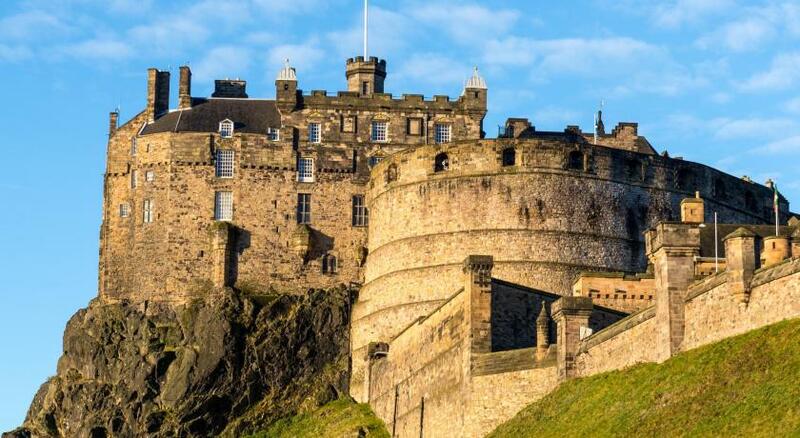 Originally built in 1903 as part of Edinburgh's central railway station, rooms at the luxury hotel each have a flat-screen TV, a luxurious bathroom with designer toiletries, and fluffy bathrobes, as well as unobstructed views of Edinburgh Castle. Guests can enjoy access to the Guerlain Spa, the first and only one of its kind in the UK, which offers an array of treatments as well as a steam room, sauna, Jacuzzi®, swimming pool and modern gym. Guests can enjoy a choice of two eateries, The Pompadour by Galvin and Galvin Brasserie de Luxe, both from Michelin-starred chefs Chris and Jeff Galvin. 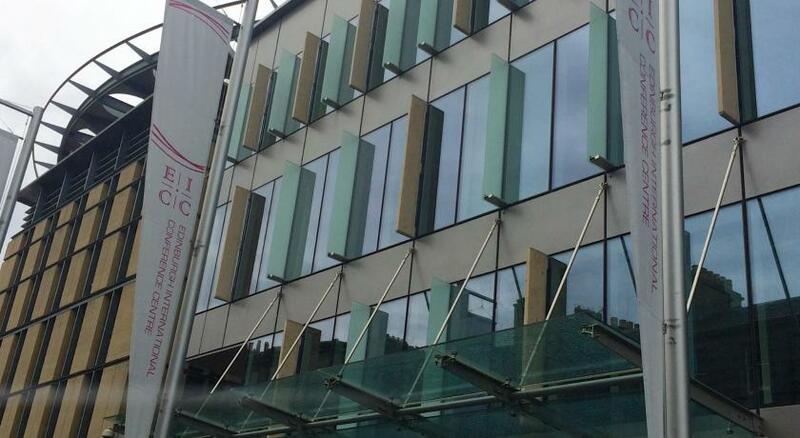 Formerly the station concourse and ticket office, Peacock Alley now offers afternoon tea, while The Caley Bar provides bar food, drinks and masterclasses/tastings for guests and the general public. 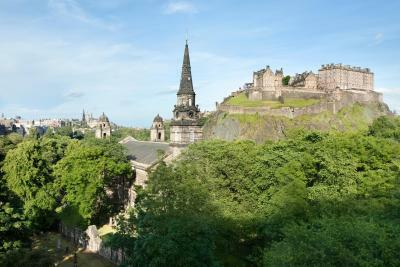 Edinburgh Castle and UNESCO heritage site, and Edinburgh Old Town can be reached within a 20-minute walk. 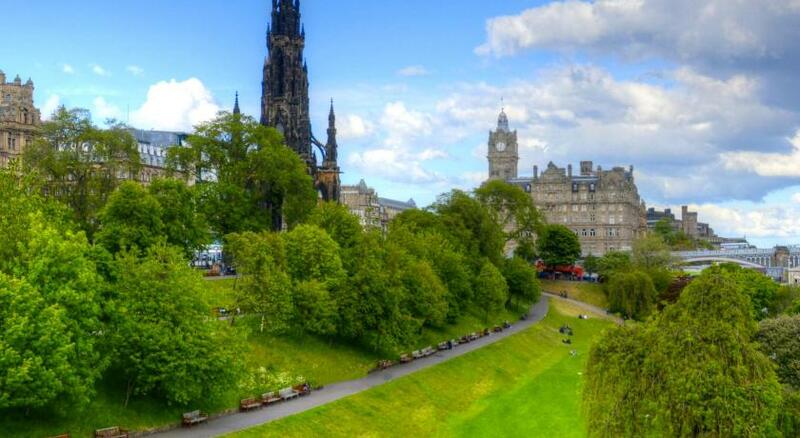 The hotel is located just a 10-minute walk from Edinburgh Military Tattoo, and Edinburgh International Conference Center. 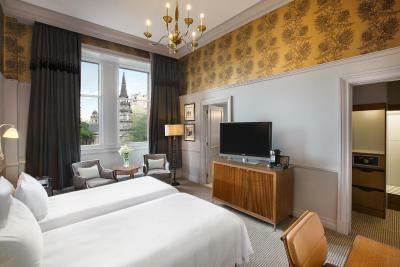 When would you like to stay at Waldorf Astoria Edinburgh - The Caledonian? 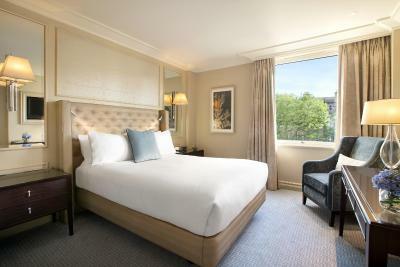 This beautifully furnished room features a king bed complete with a Serta mattress and delicate Egyptian cotton sheets. The Deluxe King Room offers modern amenities including a Nespresso machine, iPod dock, black-out curtains, LCD TV, bathrobes, slippers and exclusive Salvatore Ferragamo bath products. 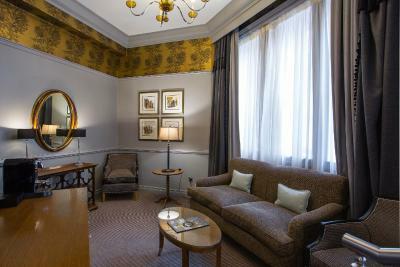 This classically furnished suite includes an open-plan living area with a large desk and beautifully upholstered seating. 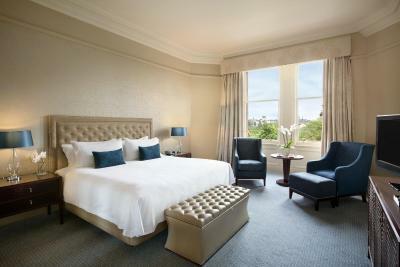 The bedroom has a king Waldorf Astoria bed and a deluxe bathroom. 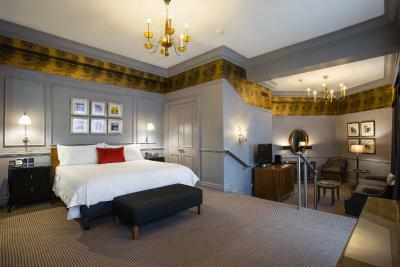 In-room amenities include Nespresso machine, iPod dock, black-out curtains, bathrobes and Salvatore Ferragamo products. 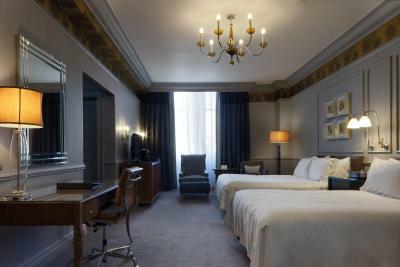 This classically furnished suite includes a separate living area that opens into a spacious bedroom featuring high ceilings and a Waldorf Astoria bed with a Serta mattress and Egyptian cotton sheets. 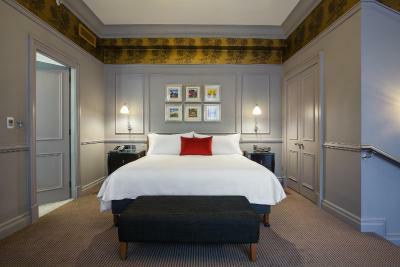 In-room amenities include Nespresso machine, iPod dock, black-out curtains, bathrobes and Salvatore Ferragamo products. 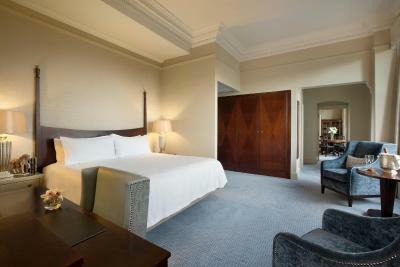 This beautifully furnished room features a queen bed complete with a Serta mattress and delicate Egyptian cotton sheets. 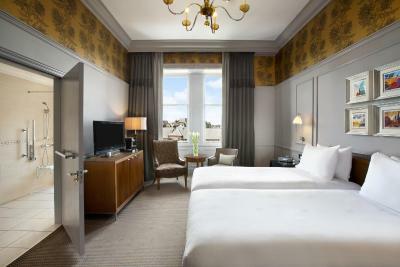 The Deluxe Queen Room offers modern amenities including a Nespresso machine, iPod dock, black-out curtains, LCD TV, bathrobes, slippers, and exclusive Salvatore Ferragamo bath products. 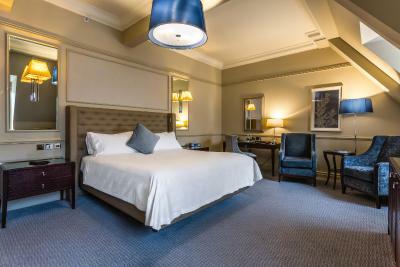 This room has 2 double beds with a Serta mattress and delicate Egyptian cotton sheets. Other amenities include a Nespresso machine, iPod dock, black-out curtains, LCD TV, bathrobes, slippers and exclusive Salvatore Ferragamo bath products. 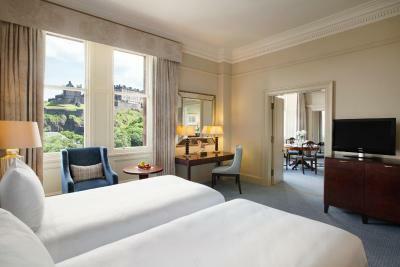 This spacious room features a view of Edinburgh Castle. It includes 2 double beds, a Nespresso machine, iPod dock, black-out curtains, LCD TV, bathrobes, slippers and exclusive Salvatore Ferragamo bath products. This beautifully furnished spacious room features a king bed complete with a Serta mattress and delicate Egyptian cotton sheets and offers modern amenities including a Nespresso machine, iPod dock, black-out curtains, LCD TV, bathrobes, slippers and exclusive Salvatore Ferragamo bath products. 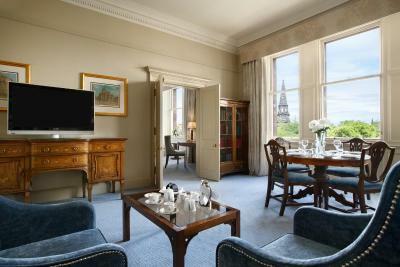 This spacious room features a view of Edinburgh Castle. A beautifully furnished room featuring a king size bed, a Nespresso machine, iPod dock, black-out curtains, LCD TV, bathrobes, slippers and exclusive Salvatore Ferragamo bath products. This beautifully furnished premium room features a queen bed complete with a Serta mattress and delicate Egyptian cotton sheets and offering modern amenities including a Nespresso machine, iPod dock, black-out curtains, LCD TV, bathrobes, slippers and exclusive Salvatore Ferragamo bath products. 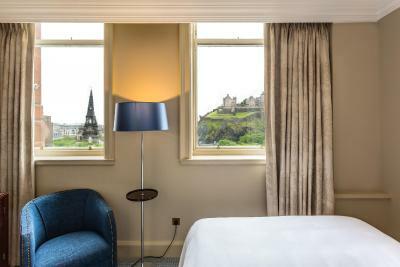 This beautifully furnished room features a view of Edinburgh Castle. A classic room that offers a queen size bed, a Nespresso machine, iPod dock, black-out curtains, LCD TV, bathrobes, slippers and exclusive Salvatore Ferragamo bath products. 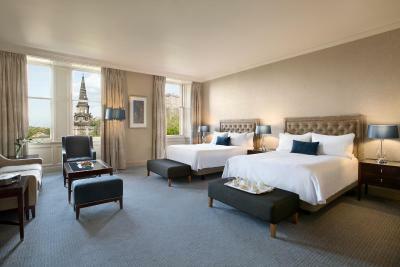 This beautifully furnished room features twin beds complete with a Serta mattress and delicate Egyptian cotton sheets. 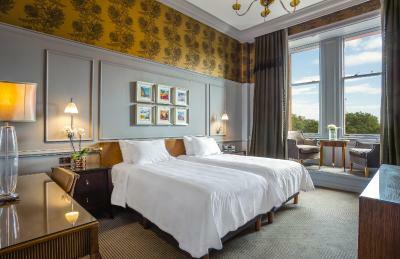 This Premium Twin Room offers modern amenities including a Nespresso machine, iPod dock, black-out curtains, LCD TV, bathrobes, slippers, and exclusive Salvatore Ferragamo bath products. 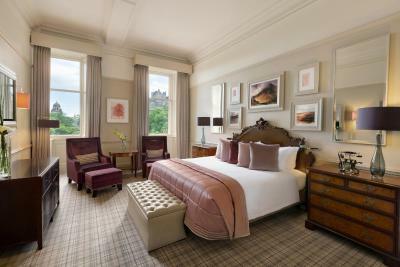 Guests can enjoy views of Edinburgh Castle from this room. 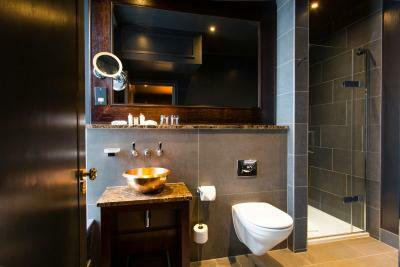 It features a Nespresso coffee machine, an iPod docking station and an LCD TV. 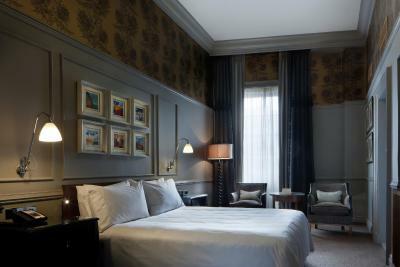 Black-out curtains, bathrobes, slippers and exclusive Salvatore Ferragamo bath products are also provided. 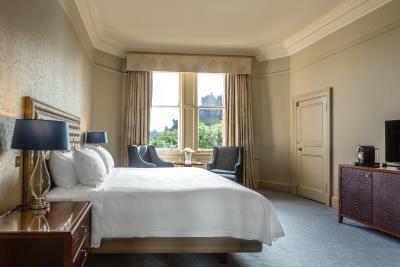 The Junior Suite offers views of Edinburgh Castle, a living area and a bedroom with a queen-sized Waldorf Astoria bed, Egyptian cotton linens and blackout curtains. Additional amenities include a Nespresso coffee machine, an iPod docking station, bathrobes and exclusive Salvatore Ferragamo products. It can sleep up to 3 people. 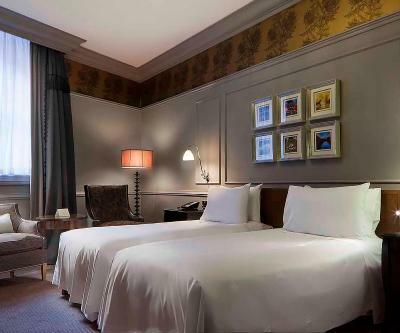 This Deluxe Accessible Room features two beds with Serta mattresses, Egyptian cotton sheets and blackout curtains. 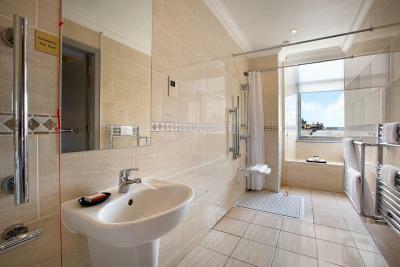 The bathroom includes a roll-in shower, unobtrusive grab rails and a shower stool. 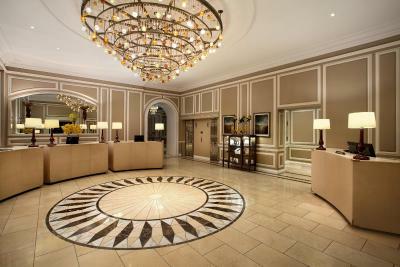 Guests will find amenities such as a Nespresso coffee machine, an iPod docking station and an LCD TV. 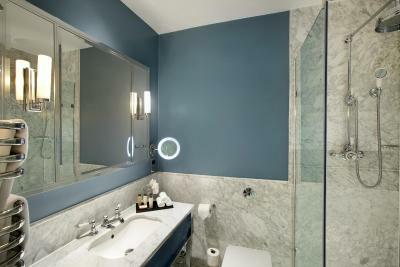 The private bathrooms contain bathrobes, slippers and exclusive Salvatore Ferragamo bath products. 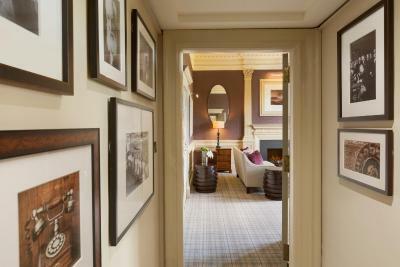 This room features an exclusively railway-themed decor, which reflects the hotel's history. 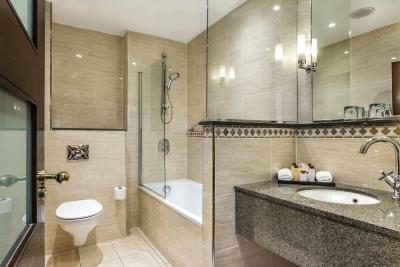 Other amenities of the Carriage Queen rooms include a Nespresso coffee machine, a flat-screen TV and private bathrooms with bathrobes and slippers, and exclusive bathing products by Salvatore Ferragamo. 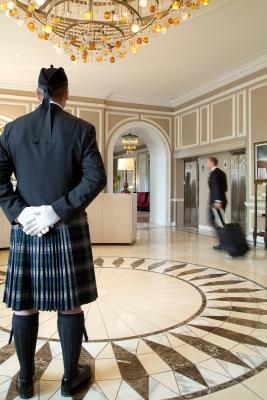 Waldorf Astoria Edinburgh - The Caledonian, known fondly by locals as 'The Caley', is steeped in history and is an Edinburgh icon standing proudly at the west end of Princes Street. 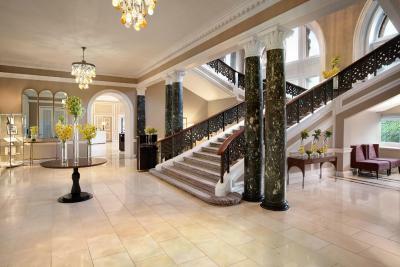 Operating as a hotel since 1903, this former Victorian rail station is a member of Waldorf Astoria Hotels & Resorts, the epitome of luxury in hotels and resorts worldwide. Create memorable moments during your stay by dining in one of our two award-winning restaurants created by the Michelin-starred Galvin brothers – The Pompadour by Galvin and Galvin Brasserie de Luxe. You could also indulge in a luxurious Afternoon Tea in Peacock Alley, formerly the station concourse and ticket office and treat yourself to some of the finest Scottish Whiskies at The Caley Bar. 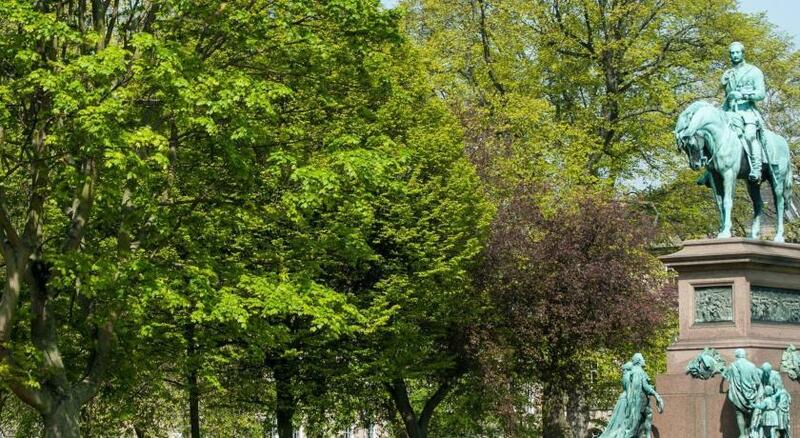 We are also home to the Guerlain Spa, a sanctuary of luxury and relaxation, home to a luxurious swimming pool, sauna, steam room, spa bath, and a state-of-the-art gym. 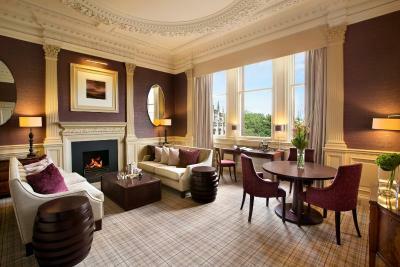 House Rules Waldorf Astoria Edinburgh - The Caledonian takes special requests – add in the next step! 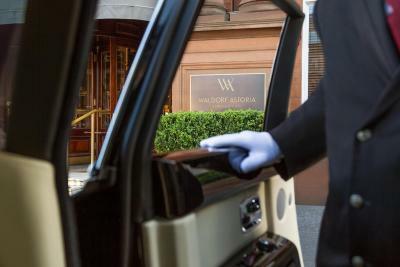 Waldorf Astoria Edinburgh - The Caledonian accepts these cards and reserves the right to temporarily hold an amount prior to arrival. The bed wasn’t made during our stay and the room wasn’t serviced. Breakfast was a nightmare having to chase for people to come and remove plates, trying to get a coffee was nearly impossible. 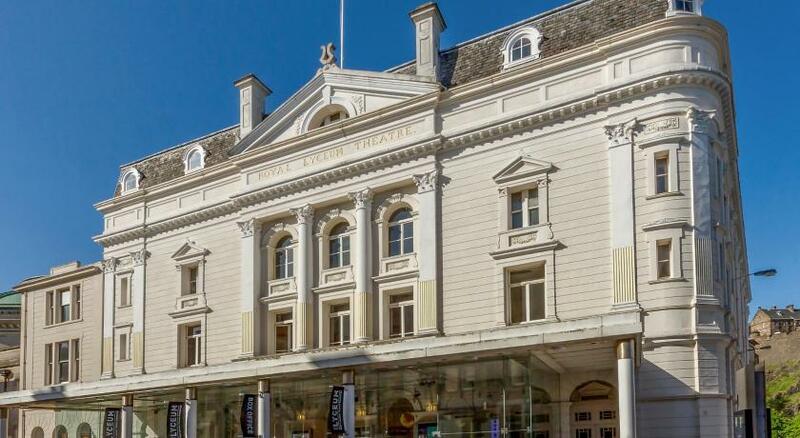 Sumptuous and elegant building. Very comfortable, elegant and clean room. Delicious breakfast. Great location. The room we booked didn’t have heating in the bathroom which was freezing as it was such a big bathroom and travelling with babies wasnt warm enough in there for them. We did ask for a alternative heat source or a different and neither one was possible at the time. Prime location super friendly staff food really nice great for the kids. Air con in one of the 2 rooms we had was not working . Peacock alley area , spa, pompadour were all highlights . Complimentary water/soft drinks in room on arrival would be a lovely bonus. The staff were both friendly and professional and so helpful. The breakfast was amazing, so much choice and coffee/tea constantly replenished. The room was spacious, the bathroom clean and excellently stocked with toiletries and bathrobe/slippers and fluffy soft towels. Also tea and espresso machine in room with shortbread biscuits. We loved everything apart from the fact the pool was not in use for the first day & the children who are exceptional swimmers were not allowed in the pool unless an adult was in there with them (when it was working) even though the pool was only about 1.2 metres deep & they are 9 & 11! Staff were fantastic as was the location. Bed creaked. Hotel was quite dated. Did not feel like a five star hotel. Concierge recommended Ryan's for breakfast which was not nice at all. The room allocated was very dark so we asked to be changed, the second room had musty smell to it and the only other room available was part of a suite for which we had to pay an extra £150 a night and that room faced the main street but there was no double glazing so it was noisy and cold. Nice view. The queen deluxe rooms are too small to sleep 2 people comfortably for longer than 1 night. The lift smelt of cabbage all weekend, the breakfast was the worst I’ve had in a very long time. The buffet had a vey Poor selection, the dining room was dark and tables were very slow to be cleaned. The carpet in our room had strains and was coming apart at a bit near the bed. Bathroom was not the cleanest, the shower curtain was strained yellow at a small part and there was a previous visitors empty shower gel left at the shower. At one point when we came back to the room the bin in the toilet was not put back into the holder and did not have a bag in it either. We were disappointed that the restaurant was not open and were hoping for waiter service breakfast. 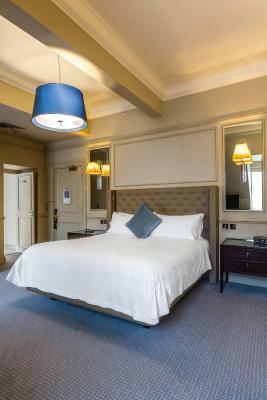 The general atmosphere, helpful, friendly staff and the room.